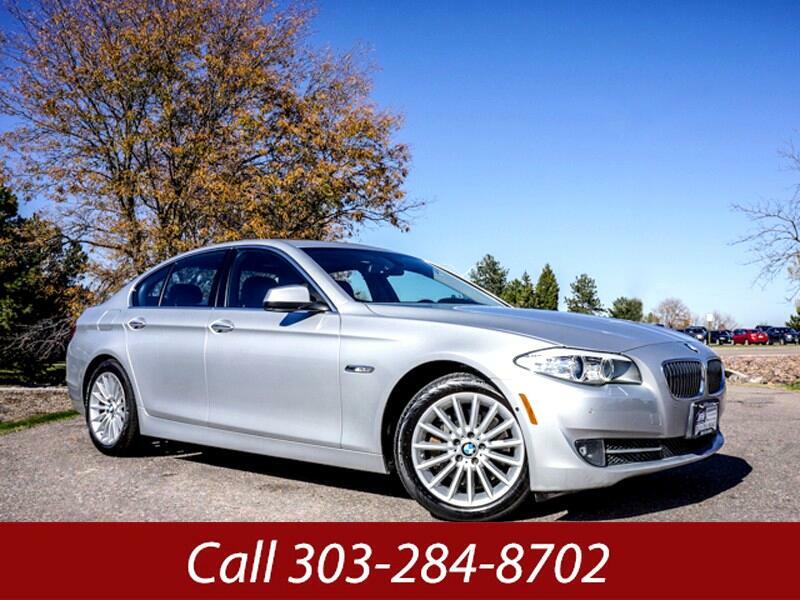 Used 2013 BMW 5-Series 535i xDrive for Sale in Littleton CO 80120 JFR & Associates, Inc. This Beamer Is Endlessly Fresh And Inviting. Being a leader among midsize luxury sedans keeps this BMW in the spotlight. This car is all about luxury and comfort. From the moment you get behind the wheel you'll experience the elegance and attention to detail that has made this car standout in the crowd. You'll appreciate this "Ultimate Driving Machine" for its craftsmanship, classic styling and its energetic personality. This BMW 5 Series is jam packed with amenities to make your driving experience more pleasurable. Some of the options are... sunroof, memory seats, Bluetooth, heated seats, Satellite radio, navigation, a backup camera and lots more. We invite you to make an appointment and take this beauty out for a test drive and find out for yourself what we're talking about when we say... this is a luxuriously and elegantly handcrafted automobile.